Workplace safety is essential for keeping employees free from harm and for employers to avoid amassing federal compliance citations. On Sept. 16, 2016, the Occupational Safety and Health Administration cited a New Jersey aluminum factory for four serious and one willful safety violations. for failing to implement a hearing conservation program or provide yearly hearing tests. In March, OSHA cited an Iowa postal facility one repeated and four serious safety violations for slips, electrical hazards and respiratory illness hazards due to high levels of indoor moisture and mold. Just this month, OSHA issued two repeat violations of workplace safety standards to a New York roofing contractor for putting its worker at risk for serious fall hazards. While operating in a hazard-free environment is ideal, far too often employers must establish work site precautions to keep their employees safe when they perform essential, potentially risky job duties. Employee training courses and personal protective equipment are both necessary elements in a comprehensive safety plan, but they alone are not enough. Employers must use safety signs to keep their workers safe from harm. As mentioned above, PPE is essential for keeping employees safe on the job. While you can urge workers or even mandate that they wear PPE, you also need to hang up signs around machines and workspaces where certain PPE is needed. Numerous operations and job responsibilities in manufacturing and industrial settings require workers to wear PPE. For example, if a facility is prone to excessive noise, as in the case of the New Jersey aluminum factory, it should feature posted PPE signs that alert workers to these dangers. While employees who normally operate in these areas may be used to wearing essential PPE, these signs are ideal for new members or those simply passing by. "PPE is essential for keeping employees safe." In the event of an emergency in your workplace, would your employees be able to follow clearly marked signs to an easily accessible exit? If not, you might be in violation of various workplace safety standards. This is why you must invest in durable evacuation and emergency exit signs throughout your facility. These signs are some of the most basic elements that must be present in a workplace, so it is likely that you already have some in your facility. Are they clearly visible, well-designed and placed in key areas? Maybe they haven't been updated in years and have started to become illegible? If so, you must consider updating your current evacuation and exit signs to keep your company compliant and your workers safe should an emergency occur. Danger and warning signs convey different information and shouldn't be confused or used interchangeably. First, warning signs highlight that a serious injury or death could occur in a select area. 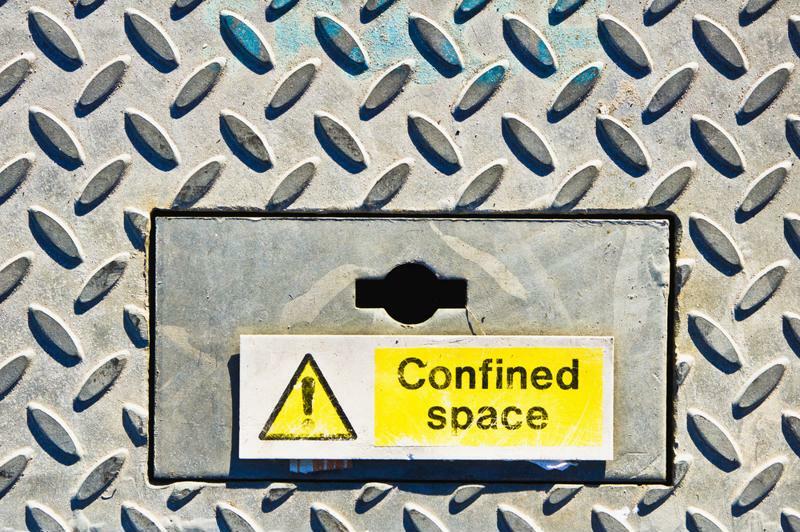 Certain warning signs could indicate moving machine parts, possible falling objects, fall hazards, flammability or confined spaces. While not urgent, they are important and shouldn't be ignored. Danger signs, on the other hand, are designated as the highest level of hazard alert in the workplace. This sign communicates the idea that should a hazardous situation arise, the result could result in a life-threatening injury or death. Types of danger hazards may include an arc flash, poison or toxic gas exposure, explosive or hazardous waste. These need to be placed in highly noticeable areas of the facility. "Safety signs will help standardize rules and procedures." While this one might seem unnecessary to bring up, it is an important sign you don't want to forget about. It is especially important for facilities using combustible gases and other flammable materials. All employees should go through workplace safety training to understand that they should not smoke in select areas, but another, helpful reminder never hurts. Meanwhile, consider if there are any other important pieces of information that employees need to know to do their jobs properly and safely. Customized notice signs are excellent for reminding or telling workers further instructions about what to do or not do around certain equipment or in select areas of the facility. For example, these could include "no food or drink" in areas that may contain toxic chemicals or substances. While safety signs might seem redundant to existing training measures, they will help standardize rules and procedures you want your workers to follow. At Stranco, we offer an extensive catalog of premium and custom-designed safety signs for manufacturers in a wide range of industries. Our graphic standard is ANSI Z535.2 and we work with you to make sure that each of your signs fully complies with this specific guideline. Made of vinyl, plastic, fiberglass or aluminum, you can rest assured our signs are durable enough to withstand whatever working environment they are needed in. If you need safety signs for your workplace, we offer our products in quantities of anywhere from one to more than a 1,000. Contact one of our representatives today to learn more about our custom design options or view a collection of our most popular sign legends on our website.